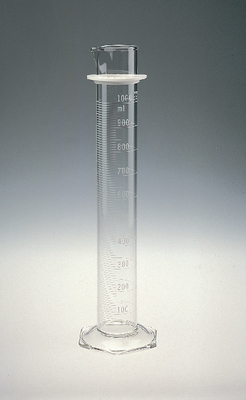 Glass cylinders have hexagonal base and single white metric scale. The 10mL cylinder has a funnel top; sizes 25 through 500 mL have bumper guards. 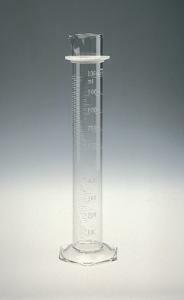 Use the 100mL cylinder for ASTM E133, E1272, D86, D216, and D447.